This special sponsorship event has ended. How about considering a compassionate Thanksgiving this year? Until November 17, we will be offering a special sponsorship level for our turkeys. It is our hope that one day, Thanksgiving won’t be celebrated with the killing of millions of our feathered friends. Until that day, we will continue to advocate for their precious lives. Please consider a turkey sponsorship in lieu of a turkey dinner. For $25 (about the cost of a turkey) you will receive a photo, a chance to win a Tofurkey roast, and the knowledge that YOU ARE making a difference. 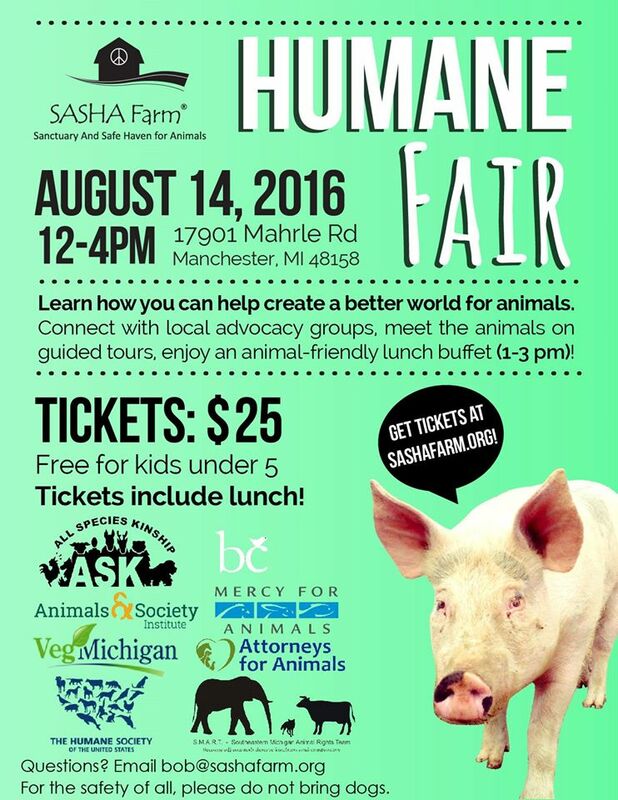 I am the SASHA Farm Sponsorship Coordinator and I will be attending the Humane Fair on August 14, 2016. I will be happy to answer all your questions about sponsoring SASHA Farm animal residents. If you want to become a sponsor now, you can get information on becoming a sponsor HERE. If you want to become a sponsor, you can do that HERE. I hope to see you at the Humane Fair! If you can’t make it but want more information, please contact Sponsorships at sponsorships@sashafarm.org.